Whoever heard of a western movie that was called a torrid tale of passion? Not I, that is for sure although I would be the first to admit I am not very familiar with many western movies. 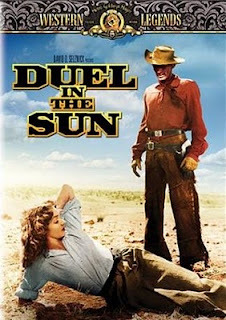 I was challenged this week to write a page about the 1947 western movie Duel in the Sun, which starred the legendary Gregory Peck as well as Joseph Cotten, Jennifer Jones, Lionel Barrymore, Herbert Marshall and Lillian Gish. Including the fact that this movie was over-the-top and probably way ahead of its time. Producer David O. Selznick poured a lot of effort into this movie, hoping for big things. However, the combination of sexual content on screen and behind the scenes as well as the huge budget spent in trying to create an epic western, may have helped keep this movie from becoming another huge success for Selznick. Despite the facts, however, that this movie is controversial and over the top, people still enjoy it. Duel in the Sun, A 1947 Western Movie Review. 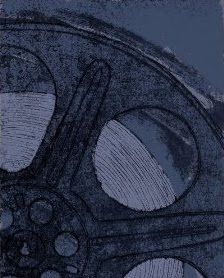 Order your copy of Duel in the Sun on Amazon.